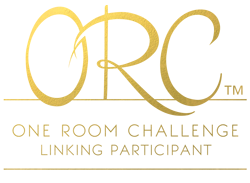 I really like sharing with you my great product finds that not everyone knows about. Because we all really enjoy being the first ones to find something of real beauty and value before everyone else recognizes it right? 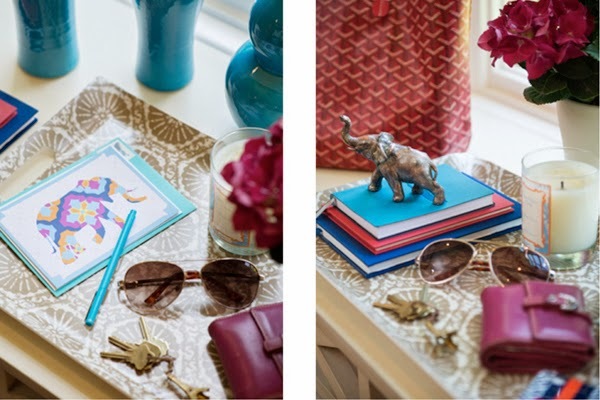 This way you become a fabulous tastemaker among your friends and the source for finding all things chic and exciting. Yes? Yes! 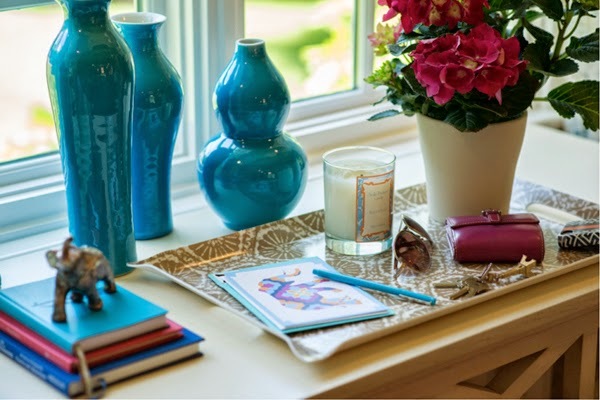 So, today I want to introduce you Decorum and their distinctive collection of home accessories which includes trays, catchalls, coasters, ice buckets and styleboards. 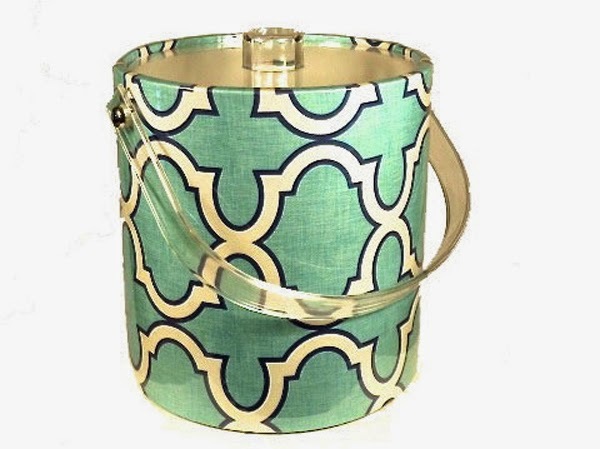 Decorum uses authentic fabrics to make all their products. 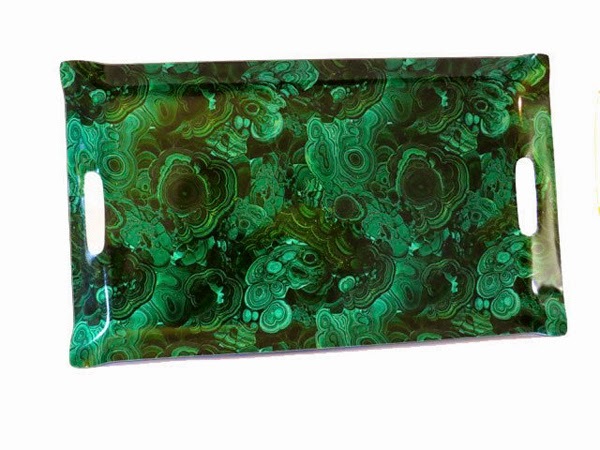 I'm just in love with their trays (specifically this malachite beauty!!). 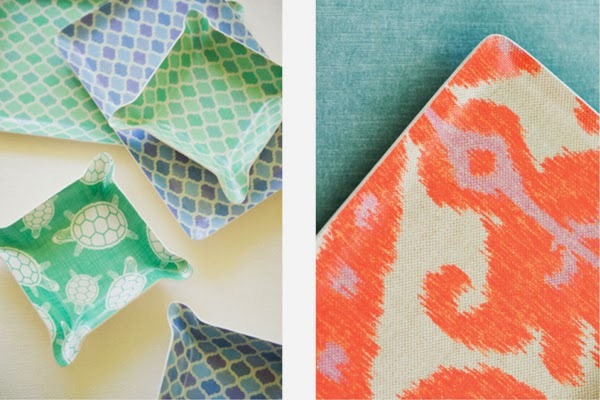 They add texture to any corner and the fabrics they come in are so vibrant in personality. Do you see it all clearly now? 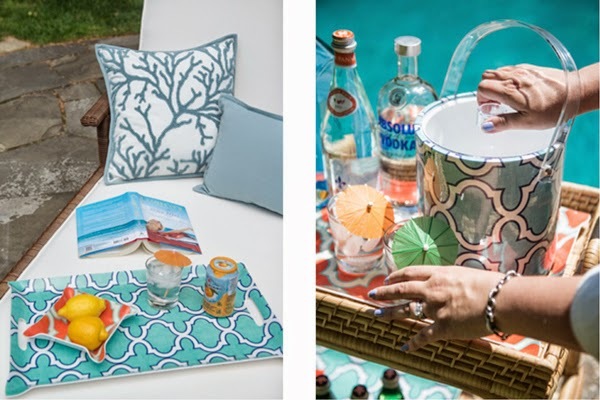 You hosting a fabulous Summer Soiree with the bar set-up in this tray by the pool and this ice bucket to match? And this little valet bowl filled with lemons? 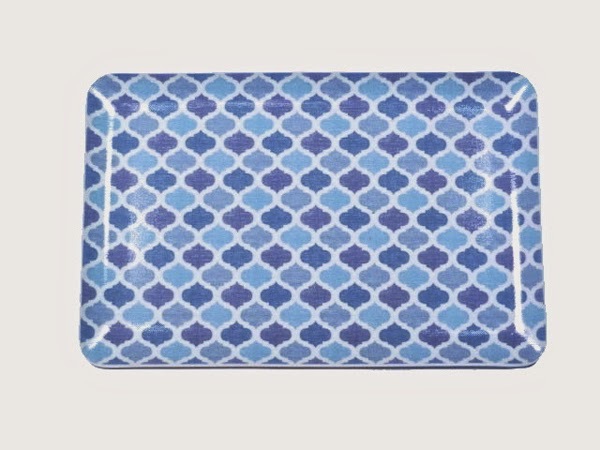 You leaving your rings bedside on this leopard catchall? 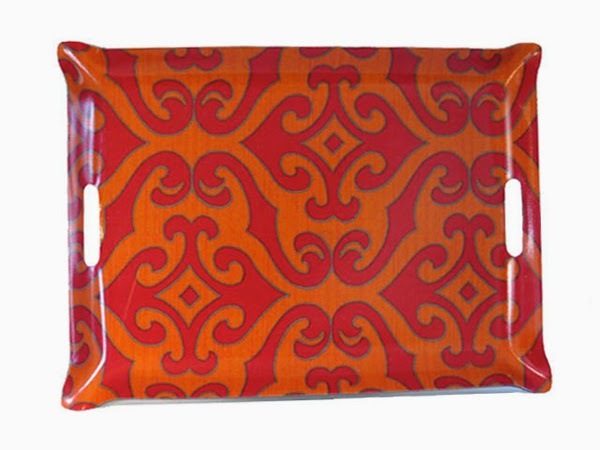 A few coffee table books piled high topped with a brass figurine on this tray? 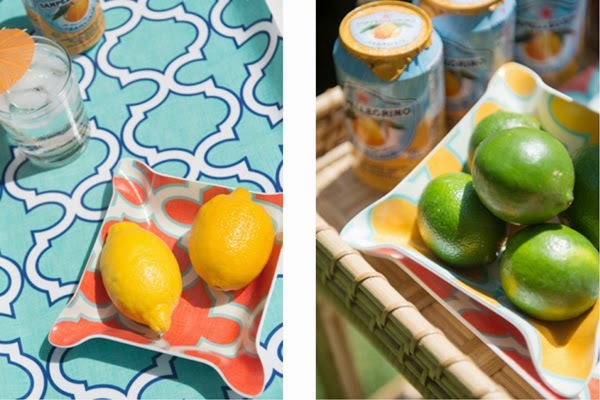 The two ladies behind the brand, Jennifer Scheer and Jennifer Stafford, really figured it out by coming up with this chic and functional product line- perfect and easy for the porch or poolside and elegant enough for your living room and bedroom styling needs. Checkout all their products here. If everyone knew about it, it wouldn't be a scoop, now would it? Do you have any fun product scoops you want to share with me? Thank you for the introduction! I haven't heard of this company. 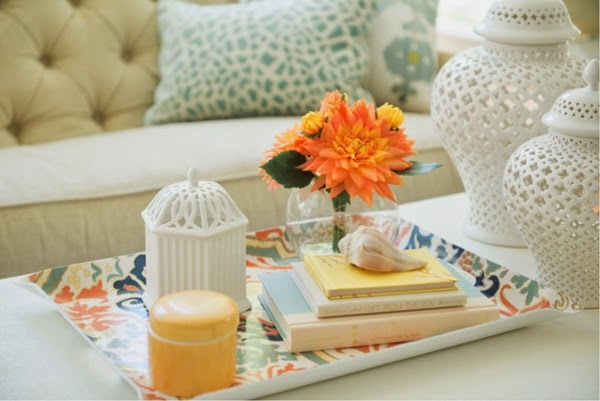 The pieces are so cheery and colorful. 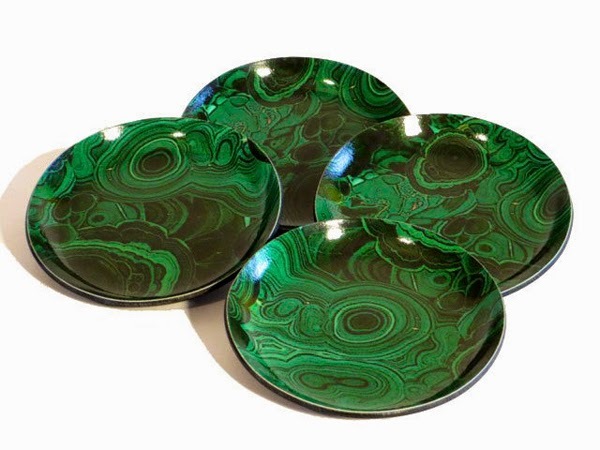 I need to have the malachite tray. Gorgeous! I love all of their pieces! I need to get over to their site ASAP. Love the color! It really pops and grabs you.